China’s Maritime Silk Road: Now The Smart Way Forward? Where to now for China’s Nine-Dotted Line, Maritime Silk Road and South China Sea offshore oil and gas exploration efforts? A series of Joint Development Areas funded by China’s Asian Infrastructure Investment Bank (AIIB) would solve several problems at once. 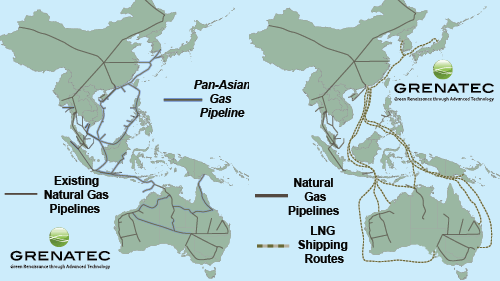 Connected by pipeline infrastructure, they would more deeply integrate Asia’s energy markets. After Tuesday’s UN Tribunal ruling, prospects look dim for all three. The tribunal, located in the Hague and comprised of international judges, rejected virtually all of China’s expansive territorial claims in the South China Sea. The tribunal rejected China’s Nine-Dotted Line as baseless fiction. It also ruled none of the sandbars China’s recently built into military bases have any territorial rights. China could — of course — double down. China could declare the South China Sea to be Chinese regardless of what the UN says or the world thinks. China could then declare air defense zones and seize ‘foreign’ vessels in ‘Chinese’ waters. China would then be forced into claiming one set of rules for itself, and another set for everyone else. A far better course is for all sides to claim victory, and then move on. The Philippines, for instance, can claim victory over Scarborough Shoal (the core issue in the dispute). The US can claim a victory for freedom of navigation. Southeast Asia’s littoral countries can can claim victory for of their broadly-recognised (except by China) offshore exclusive economic zones. Even China can claim victory by claiming it’s being misunderstood (a strategy China’s already tried in the South China Sea, to mixed success). After the tribunal’s categorical ruling, China’s new strategy could be to lower the temperature by reframing the issue away from rocks, sand and physical territory. It could then seek to reframe the issue around the potential multilateral benefits of China’s Maritime Silk Road concept. In this way, China can claim South China Sea tensions to be merely the unfortunate outcome of misunderstood Chinese altruism. To date, China’s kept the Maritime Silk Road slogan vague. But basically it means buying off the neighbors with Chinese-funded infrastructure. This is also known as ‘yuan diplomacy’ through soft financial terms. Rebadging China’s now-illegitimized South China Sea military strategy away from territorial bullying and toward infrastructure diplomacy may now be China’s best opportunity to do the right thing. It’s particularly so given China’s exhausted the alternatives. Given that the Maritime Silk Road has been kept a fluid, undetailed concept, it should be easy for China to repackage and resell given the UN Tribunal’s realities. In pushing the Maritime Silk Road, China’s Communist Party leaders and China’s state controlled press now can start claiming South China Sea issues were always about trade and regional wealth creation and never about winner-takes-all territorial showdowns between unequals. Inside China, the Maritime Silk Road will no doubt encompass a Chinese hope a future world trade order can be organized outwardly from Hong Kong, Shanghai and Beijing. Indeed, that may happen. But it’s unlikely to much before mid-century. If China signs up to the Maritime Silk Road strategy, the first step might be to dust off any number of shelved joint development proposals with the neighbors. The Philippines and Vietnam, for instance, in the past have held in detailed talks with China about these, in Reed Bank and the Tonkin Gulf, respectively. Indonesia and Malaysia also have paid polite lip service to the joint development concept. So has Taiwan. Moving forward with joint development concepts would get a mighty boost by offers of capital from the newly-created, Chinese-controlled Asian Infrastructure Investment Bank (AIIB). Specifically, the Association of Southeast Asian Nation (ASEAN) states could resurrect its moribund Trans-ASEAN Gas Pipeline (TAGP) project. This cross-border gas pipeline project would deepen energy market integration among ASEAN’s 10 members. Spurs from the system could serve offshore joint development areas. These could incude, for instance, Reed Bank in the Phillipines, the northeast Natuna area in Indonesia and the shallow waters off central Vietnam. This would help ease tensions between China and ASEAN’s most testy members with coastlines on the South China Sea. Assuming all goes well, it could lead to greater cooperation in exploration for deep sea methane hydrates as well as, potentially, offshore wind and ocean thermal energy. A related moribund infrastructure project in Southeast Asia is the Trans-ASEAN Electricity Grid (TAEG). The TAEG, a cousin project of the TAGP, would upgrade, expand and more deeply interconect ASEAN’s 10 members’ electricity grids with deeper cross-border interconnections. The above presents great opportunities for Chinese infrastructure state champions such as State Grid Corp. of China and China National Overseas Oil Company (CNOOC). Both have been at the forefront, both good and bad, of China’s aggressive South China Sea policy. State Grid, for instance, is well into a 25-year contract to upgrade and rebuild the Philippines’e electricity grid. By all accounts it’s going well. But that didn’t stop the Philippines from expelling Chinese State Grid technicians last year on security grounds. Meanwhile, CNOOC has played both friendly and unfriendly roles to date in dealing with Vietnam and the Philippines. Both State Grid and CNOOC have much to gain from a Maritime Silk Road funded by Chinese money and enjoying regional social license. Handled correctly, the UN tribunal ruling onTuesday could represent the end of the Nine Dotted Line and its replacement with the Maritime Silk Road. It’s not certain, but it would be a good start. China’s AIIB: Hobbled By Article 55? Could China’s rejection of a South China Sea UN tribunal ruling generate negative blowback for China’s Asian Infrastructure Investment Bank (AIIB)? The credibility of AIIB Arbitration procedures for settling disputes over Asian Infrastructure Investment Bank-funded projects could be in jeopardy if China rejects a Philippine arbitration appeal to an UN Tribunal. Article 55 of the AIIB Articles of Agreement specifies disputes between the AIIB and a member country be submitted to arbitration by a three-member panel. The panel is to be comprised of an AIIB bank representative, a representative of the disputing state and a third representative appointed by the International Court of Justice (ICJ). The ICJ is the same outfit that empaneled the tribunal whose pending South China Sea ruling China says it will reject unless it wins. But after establishing a precedent of rejecting arbitration rulings against it (in the South China Sea) by one organ of the ICJ, China may feel emboldened to reject AIIB arbitration decisions it doesn’t like. This sends a powerful signal to the rest of the world about China’s view of the sanctity of contracts. It would bolster views that China –– like Russia — sees legal agreements as methods for enforcing arbitrary state power, not curbing it. In coming years, the AIIB will extend infrastructure loans to third countries. Many of these will be made to Southeast Asian countries as part of China’s Maritime Silk Road vision. But if China claims exceptionalism to agreed arbitration norms, others may do the same. This can create blow back consequences for China. In 2008, Chinese electricity infrastructure state champion State Grid Corp. of China (SGCC) won a precedent-setting contract to upgrade and operate the ramshackle Philippine electricity grid over 25 years. By all accounts, the showcase contract has gone well. It set a precedent enabling SGCC to win subsequent contracts upgrading grids in Australia, Italy, Portugal and Brazil. 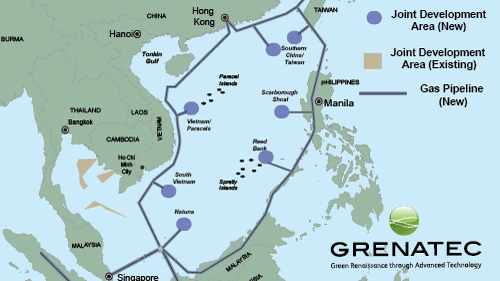 But in early 2015, amid rising tensions between the Philippines and China over China’s South China Sea territorial claims, the Philippines expelled SGCC technicians on little-documented grounds that a computer virus had infected the grid. China’s response was instructive. Instead of claiming national exceptionalism and rejecting any dispute resolution it didn’t like, China — as a guest in the Philippines — merely meekly called for ‘procedural fairness.’ The Philippines ignored the plea. This indicates China understands — as foreign companies do in China — the lack of recourse available for guest companies. Arbitration can help; but only if accepted as binding by both sides. As a political single party state and recent convert to market economics, China’s export infrastructure state champions still have much to prove in the area of corporate governance as defined in any western sense. Such demonstrations will be increasingly important as China’s state champions seek to export long-lived infrastructure services (among other things) to the rest of the world. China’s creation of the AIIB to fund such exports using world-best practice is aimed at setting a positive precedent. But other precedents count as well. These include disputes submitted to arbitration panels like UNCLOS. The Philippines — for instance — may be able to take its South China Sea dispute with China to the AIIB should the AIIB make any investments in disputed areas of the South China Sea. If China wants to realize its Maritime Silk Road concept, AIIB investments in contentious areas of the South China Sea look look unavoidable. This suggests it’s only a matter of time before a dispute within the AIIB involving the South China Sea arises under Article 55. One way to avoid this would be for the AIIB — as it has pledged — to work more closely with established, credible multilateral lenders like the Asian Development Bank and World Bank. China’s already doing this. The result could be a constructive, economically-oriented, multilaterally-accepted solution to South China Sea territorial issues. These might be based upon creation of joint development areas that defer resolution of territorial issues indefinitely. Asia is now the world’s fastest growing economic block. Asia will soon become the locomotive of the world economy. It’s critical such issues get hashed out. The biggest one is the validity of China’s Nine-Dotted Line. In its dispute with the Philippines over Scarborough Shoal, which is just one territorial dispute in the South China Sea between China and her neighbors, China in 2006 declared it would not accept compulsory settlement provisions for maritime delimitation under UNCLOS. The problem for China is that other countries may reciprocate over time in other places and in other ways. The result will be the erosion of the economic multilateralism that now underpins world prosperity. Tens of billions of dollars of lucrative, economic-growth enhancing, quality of life improving infrastructure is needed in Southeast Asia. These range from roads, to rail systems, to telecoms, ports of and low emission energy. The South China Sea is a big part of this. Joint development areas in the South China Sea connected to land by multilateral infrastructure will create a multiplier effect of global prosperity. Everyone will gain. Territorialism, by contrast, is a zero, or negative sum game. Greater clarity is needed. China can provide it. If a disagreement should arise between the Bank and a country which has ceased to be a member, or between the Bank and any member after adoption of a resolution to terminate the operations of the Bank, such disagreement shall be submitted to arbitration by a tribunal of three arbitrators. One of the arbitrators shall be appointed by the Bank, another by the country concerned, and the third, unless the parties otherwise agree, by the President of the International Court of Justice or such other authority as may have been prescribed by regulations adopted by the Board of Governors. A majority vote of the arbitrators shall be sufficient to reach a decision which shall be final and binding upon the parties. The third arbitrator shall be empowered to settle all questions of procedure in any case where the parties are in disagreement with respect thereto. China’s Asian Infrastructure Bank: South China Sea Mediator? Can the Asian Infrastructure Investment Bank (AIIB) provide a forum for territorial compromise in the South China Sea? The Asian Infrastructure Investment Bank (AIIB) should fund development of the proposed Trans-ASEAN Gas Pipeline (TAGP) to calm worries regarding Chinese territorial claims to the entire South China Sea. The AIIB’s Articles of Agreement takes pains to lay out the bank’s non-political, economic-only nature. This commitment will be put to the test as the AIIB chooses projects to fund. Since its creation six months ago, the AIIB has approved funding only for two small roadway projects in the authoritarian states of Tajikistan and Kazakhstan. Given this, doubts remain regarding the AIIB’s professed independence from China’s Communist Party leadership. In the future, the AIIB must start approving loans to more open, pluralistic democracies with more open, active civil societies — like Southeast Asia. It’s here where the AIIB’s mettle will be tested. To demonstrate true AIIB political independence from China’s Communist Party, two projects stand out. The AIIB should fund both. 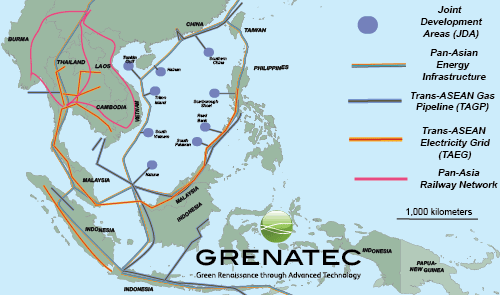 The two are the Trans-ASEAN Gas Pipeline (TAGP) and Trans-ASEAN Electricity Grid (TAEG). The two projects will more deeply integrate the energy economies of Association of Southeast Asian Nations’ 10 members. They would do this through increasing cross-border natural gas pipeline and electricity interconnections. Six of ASEAN’s 10 members have South China Sea coastlines. Two others have coastlines on the Gulf of Thailand. The combined cost of the TAGP and TAEG is around $13 billion — a big sum for the AIIB to lend in its first year. But the economic merit of these two projects and their potential for reducing political tension in the South China Sea make them special. One way to fund them would be for the AIIB and other multilateral lenders — like the Asian Development Bank, World Bank, Green Climate Fund (and others) to work together in providing the money. In addition to spreading loan-repayment risk, such cooperation could help encourage creation of common regional technical standards of interconnection. This would help reduce destructive climate change through making future energy markets more competitive by encouraging greater energy substitution. Substitution will become increasingly important as carbon pricing spreads. It will allow dynamic relative pricing to alter consumption habits and influence future investments — creating positively-reinforcing cycle. In coming years, the world must spend up to US$100 trillion building infrastructure and reducing carbon emissions. This spending will largely determine what life is like for humanity later in the century. Over the short term, funding the TAGP and TAEG may hinge in part upon China and Southeast Asia reaching political accommodation over disputed areas in the South China Sea. This accommodation can be reached by by China and her ASEAN neighbors agreeing to create joint development areas that could utilize the infrastructure of the TAGP and TAEG. This would solve two problems at once: territorial issues and securing reliable future energy supplies. That’s because bits of both the TAGP and TAEG would traverse contested parts of the South China Sea. So, where to now with this? In coming weeks, a UN tribunal in the Netherlands is expected to reject the legitimacy of China’s Nine-Dotted Line in which China has laid claim to virtually the entire South China Sea. China is politically isolated on this issue and has painted itself in a corner by saying it will ignore any UN decision that goes against it. If China holds to that line, it will destroy confidence in the newly-created AIIB. Unfortunately, Chinese domestic propaganda has done little to prepare China’s citizenry for compromise. Therefore, agreeing to South China Sea joint development areas which postpone territorial finality while enabling economic-growth and employment generating infrastructure investment looks like the best compromise available. China would benefit as much as anyone. The country has amassed an increasingly destabilizing multi-trillion US dollar cash hoard created by maintaining an artificially weak yuan. This money needs to be recycled back into the world economy. China has world-class companies capable of building roads, rail systems, power lines and other key infrastructure. These companies are huge domestic employers of Chinese labor. Without new projects these companies may have to engage in politically-destabilizing layoffs. Viewed, this way, it’s not hard to see AIIB overseas investment as a necessity for China’s domestic macroeconomic management as much as it is a ‘coming out’ gift of a beneficent new world power. In other words, China needs to build international infrastructure projects as much as the rest of the world needs to have them built. This symbiosis alone should ensure cooler heads prevail. For the AIIB, infrastructure investments in Southeast Asia connecting offshore joint development areas offer the institution the opportunity to end doubts regarding its independence, probity and governance. The AIIB, of course, would do this through playing a leading role funding an unparalleled opportunity to calm perhaps the world’s most worrisome trouble spot: the South China Sea. A bundle of benefits now await Asia. The ball’s in the court of the region’s statesmen. Everyone has reason to hope and prey they see the benefits. Indonesia’s Natuna: South China Sea Joint Development Area? Indonesia’s island of Natuna lies at a critical southern area of the South China Sea where Joint Development Areas, territorial claims and infrastructure can positively intersect. The East Natuna oil and gas fields may hold as much as 46 trillion cubic feet of gas, but are believed to need oil prices of US$100 per barrel or higher to be economic. Given this, they aren’t expected to be developed until 2030. Multilateral cooperation could reduce this cost, speed development and reduce territorial tensions. For its part, Indonesia has lofted trial balloons regarding ‘joint operation’ of various Natuna blocks. Nowhere else in the South China Sea are China’s territorial claims more vague than east of Natuna Island. China’s Nine-Dotted Line is drawn so ambiguously here it clearly suggests an ambit claim. This perception is reinforced by studious Chinese ambiguity. Official Chinese statements about the area go only as far as saying China lays no claims to the Natuna Islands themselves. That, of course, says nothing. The islands are not in dispute. In the past five years, three incidents at sea have occurred in the East Natuna area. These have involved Indonesian maritime authorities and Chinese ‘fishing boats.’ These occurred in 2011, 2013, and in March of this year (2016). As a result, Indonesia is moving military assets to Natuna Island after vocally asserting China’s Nine Dotted Line encroached on Indonesian territory. Indonesia’s also stepping up efforts to develop the area economically to prevent its incremental occupation by China. Indonesia’s Pertamnia is no surveying the area. The work is expected to be completed later this year. Pertamina has teamed up with US-based ExxonMobil, France’s Total and Thailand’s PTT Exploration and Production (PTT EP). This creates a formidable coalition as a combined commercial front that could force China to clarify its claims. It could also represent an intriguing coalition under which Indonesia Thailand, Malaysia and Vietnam could provocatively seek Asian Infrastructure Investment Bank (AIIB) funding for downstream pipeline delivery infrastructure of oil and gas from the East Natuna Area. The above would link publicly — perhaps for the first time — constructive resolution of South China Sea territorial issues and the success of the AIIB. The AIIB is China’s initial foray into big status international economic leadership. Its success is of paramount importance to China’s Communist Party leaders. Given that joint development would almost certainly gain broad support among AIIB members other than China, it could create the ideal forum through which to exert constructive political pressure on China to come to territorial terms with its neighbors over the South China Sea. Seeking AIIB funding for JDAs — of which Natuna could just be the first — would force the South China Sea territorial issue toward resolution in a positive way. Indonesia would likely have little trouble gathering support from other AIIB shareholders for such a plan. Most ASEAN and European AIIB member countries would be likely to support an initiative like the above. Russia, South Africa and Brazil’s positions would be harder to gauge. China, meanwhile, would face potential isolation and loss of credibility if it stonewalled or rejected funding purely on political grounds. The best outcome would be for Chinese capital in the form of AIIB loans for joint development in both Natuna and elsewhere in the South China Sea. All of this would establish a template for economic cooperation in the South China Sea that could last decades and avoid war. For China, it would represent initial steps toward realizing its One Belt, One Road and Maritime Silk Road slogans. For Southeast Asia’s smaller countries, it would set multilateral precedents for cooperative collective economic relations with China. Everyone would gain. Should the AIIB refuse funding, other multilateral institutions might step in — like the Asian Development Bank. Another alternative would be the formation of an ad hoc coalition of energy majors (Exxon, Total, PTT) and interested countries (Indonesia, Malaysia, Thailand, Vietnam) to agree among themselves to go ahead with the project. This would politically and economically isolate China. It would create just the kind of unified front China has sought to avoid forming in the South China Sea through its ‘salami-slicing’ strategy of incremental encroachment. It’s not hard to see why the Natuna area of offshore Indonesia is gaining so much attention. In addition to rich resources of oil and gas lying in shallow water, the remote area already is served by gas pipeline infrastructure and lies roughly equidistance from Singapore and Ho Chi Minh City in south Vietnam. All of the South China Sea’s problems, and its potential to lead to peaceful development (or ugly war) manifest themselves here. The third most promising location for a South China Sea Joint Development Area (JDA) is off South Vietnam. The South China Sea waters along the eastern edge of South Vietnam’s coastal shelf could become a Joint Development Area in the South China Sea. The first and second are Triton Island in the Paracels and Reed Bank in the Spratlys. A South Vietnam offshore JDA would be located in waters surrounding the existing shallow water Nam Son Con oil and gas fields southeast of Ho Chi Minh City. These would be easy to develop and ideal for interconnection to a Pan-Asian Gas Pipeline (PAGP). Among the blocks included would be those that China National Overseas Oil Company (CNOOC) attempted to auction in 2012 and 2014. Those auctions failed due to being in waters claimed by Vietnam. This time, under agreement between Vietnam and China, a smaller section of the disputed blocks could be developed as a JDA linked to the Trans-ASEAN Gas Pipeline project (TAGP). Multilaterally-utilized, shallow water gas pipelines traversing Vietnam’s near shore waters have been proposed several times over the past 15 years under a series of different names. In addition, China and Vietnam now cooperate on joint oil and gas exploration In the Tonkin Gulf separating northern Vietnam from China’s southern Hainan Island. A combined, multilateral JDA/natural gas pipeline construction project involves many parties — corporate and national. It rewards cooperation and compromise. Offshore Vietnam is the only location in the South China Sea where Indian, Russian (Gazprom), US (Exxon-Mobil) and uninvited Chinese companies (like CNOOC) are all present. As a small country, Vietnam must juggle the competiting attentions of northern commercial neighbor China, potential military protector America, regional power India and South China Sea wannabe Russia. For example, Vietnam jointly explores for oil and gas with China in the Tonkin Gulf at the same time as it suffers bullying incursions from Chinese oil and gas exploration rigs in Vietnamese claimed waters further south. Meanwhile, Russia is building nuclear reactors in Vietnam. India has oil and gas exploration blocks off South Vietnam, and the US is pressing for deeper access to Vietnamese military facilities like Cam Ranh Bay. Handled adroitly, Vietnam can make a virtue of necessity from all the above. Vietnam’s oil and gas resources are the country’s biggest foreign currency earners. Vietnam’s crude oil reserves are second only to those of China in the immediate region. In its south, Vietnam has well delineated offshore oil and gas fields and a fledgling pipeline system to bring these resources to shore near Ho Chi Minh city, its southern commercial capital. Given this, a JDA could be located in unassigned oil and gas exploration blocks to the northeast of the Nam San Con field off Ho Chi Minh city. Some of the proposed JDA blocks would be same as ones CNOOC attempted to auction off in 2014, but got no takers. 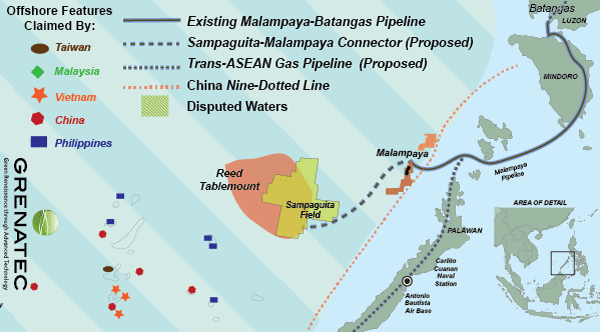 Developing these more challenging blocs through a JDA would provide the rationale for building gas pipeline interconnections that could later be interconnected to create a South China Sea-wide network akin to the TAGP. It would also provide a spur for Vietnam to build an accompanying terrestrial gas pipeline network, which it now lacks. Vietnam currently gets 30% of its power from coal, which needs to change. Gas pipelines can encourage the transition, as well as deepen cross energy market interconnection. This terrestrial pipeline system could be built alongside — or along rights of way — of the plannned Kunming-Singapore high speed train system. It would also parallel proposed routes for the Trans-ASEAN Electricity Grid, which aims to deepen regional electricity transmission interconnections. All of the above could be funded by China’s Asian Infrastructure Investment Bank (AIIB) and/or the Asian Development Bank (ADB) alongside precedent-setting AIIB/ADB investments in the Trans-ASEAN Gas Pipeline (TAGP). Specifically, the TAGP project could connect to, among others, central Vietnam offshore oil and gas blocks now being developed by Petrovietnam and Exxon-Mobil. That $20 billion project that will include a shallow water pipeline connecting the offshore fields to land south of Da Nang. That in turn, could spur development of other, secondary fields up and down the coast, lowering costs and increasingly confidence. Ultimately, it would spur movement toward creating a regional market in natural gas. This would increase supply security, competition and lower prices. A southern Vietnam JDA would join two other JDAs: between Da Nang and Triton Island off northern Vietnam and in the Reed Bank area of the southern Philippines. LNG: Sitting Duck for Terrorists? Is Liquid Natural Gas a sitting duck for terrorism? Big, slow moving, expensive, explosive and highly disruptive if taken offline. This description of LNG looks and sounds vulnerable. Few bits of infrastructure are as enticing as slow-moving leviathan Liquid Natural Gas tankers or their stationary coastal support facilities. Given the ease with which small-scale Somali pirates have been wreaked havoc on Europe-Asia container shipping in recent years off the Horn of Africa it’s worth heeding the risk. This is particularly so given that LNG is rapidly showing itself to be a financial albatross as well– particularly in Asia. Given the shorter distances and more concentrated populations in Asia, a multilateral gas pipeline network for the region makes much more sense. At present Australia, Indonesia, Papua-New Guinea are building or expanding LNG infrastructure to ship gas to China, Japan and South Korea. This represents a huge mistake both on economic and security grounds. LNG is already suffers from excruciating capital costs. This in turn has required long-term delivery contracts, with prices distorted by pegs to an unrelated commodity: oil. In addition to being safer, cheaper and more secure, pipelines also provide multi-point delivery of natural gas to more efficient markets. LNG can’t do this. Instead, LNG locks in high natural gas delivery prices for decades. In coming years, however, downwardly-compounding renewable energy technology costs will ‘cross over’ those of natural gas. Consumers will pay the price for this misallocation of resources, not just for the gas — but also for the single-generation albatross infrastructure built to deliver it. The disadvantages compound when the high greenhouse gas emissions of LNG are taken into account as well as the environmental damage LNG export infrastructure has caused to such irreplaceable natural wonders like Australia’s Great Barrier Reef. But the silly economics of LNG really unravel when its clear ‘sitting duck’ security risk is factored in. This is particularly so given that the shortest route for LNG tankers between Australia and Northeast Asia lies in passing through narrow waterways around Borneo, Java and Mindanao. These are three areas where bandits have terrorized ocean-going trade. When all this risk is added up, pipelines make better sense. Natural gas is a critical transition fuel for the next 5-15 years. After that point, natural gas will be relegated to the margins of the world’s energy markets. After 2035-2040 or, natural gas will be used merely as a legacy fuel for load-balancing. It will progressively be replaced by superior energy carriers such as hydrogen. Pipelines enable the price, delivery and geographical flexibility to allow prices to clear markets efficiently in the future. This will lowering energy costs, increase supply security and encourage carbon emission reduction. LNG, unfortunately, takes this process backward. It adds ‘sitting duck’ risk along the way. A better solution lies in integrating natural gas into a increasingly competitive market with a transition path to low- and zero-emission renewables. This can be done with pipelines that already created a highly-competitive and flexible gas market in the continental United States. Given the above, and the inherent security risk LNG poses, a rethink of LNG’s questionable credentials is warranted. This is particularly so for intra-Asia ‘shorter-haul’ delivery. In Asia, economically attractive but undeveloped oil and gas resources lie along the logical shipping routes from suppliers to consumers. A pan-Asian pipeline network will provide access to these. Not only does this option create a more flexible, longer-lived infrastructure, but it would also opens new opportunities for exploration and production of natural gas in Asia, by reducing delivery costs. Free in the deal would be a more secure infrastructure buried beneath the sea. As the world confronts climate change, the need will expand for longer-term thinking than just 25-year depreciation periods and unpriced carbon — both characteristics of LNG. In the case of Asia, a series of Joint Development Areas in the South China Sea could be connected by an open-access, common-carrier gas infrastructure connected to downstream markets. This could then form the core of a pipeline network that could then stretch north to the East China Sea and to Japan and South Korea, as well as south through Indonesia, the Timor Sea and Australia’s Northwest Shelf and Queensland. Reed Bank offers the South China Sea’s best opportunity to create a template-setting Philippine-Chinese Joint Development Area. Sources: The Economist, Philex Petroleum, Forum Energy, Grenatec. The carrot for China would be increased political legitimacy in the Spratlys. The stick for China would be the Philippines’ ability to provide greater access to its strategic military bases to the US Air Force, Army and Navy in the absence of a more cooperative relationship with China. For the Philippines, the carrot would come through gaining a deep-pocketed investor in the form of CNOOC that can help bring to market new domestic gas supplies via the Malampaya pipeline, now running dry. The stick for the Philippines would be the possibility China progressively takes over the Spratly Islands through incremental territorial seizures that meet no resistance from an obsequious Association of Southeast Asian Nations (ASEAN) or a fence-sitting America. At present, Philippine-Chinese diplomacy regarding Reed Bank is suspended pending an anticipated May ruling by a UN Tribunal in the Hague on China’s territorial claims to virtually all the South China Sea. Another distraction is the Philippines’ May 9 presidential election. Look for movement after those two events occur. Should China reject the ruling or authority of the arbitration court, the Philippines’ next president can expand access to Philippine bases by US military forces. Two Philippine military bases are ideal for this. They are the Carlito Cuanan Naval Station and the Antonio Bautista Air Base. Both are located on the Philippine island of Palawan. Both lie much closer to Reed Bank than any of China’s militarized atolls such as Fiery Cross. Both the Carlito Cuanan and Antonio Bautista military bases can provide valuable logistics for US ‘freedom of navigation’ patrols in the Spratlys accompanied by the Philippine Navy and Air Force. Perhaps the biggest blowback from China’s territorial aggressiveness in the South China Sea may be mistrust of funding from China’s newly-created Asian Infrastructure Investment Bank. Confidence between China and her neighbors can be raised through agreeing to JDAs in contentious areas of the South China Sea like the Paracels and Spratlys. These JDAs can then be linked into a larger Asian energy infrastructure. That infrastructure would deepen economic cooperation, make everybody richer and reduces the unilateral benefit of war. The timing is right. Asia needs, literally, trillions of dollars of new energy infrastructure of every kind to deliver oil, gas and electricity from production centers to consumption centers. This includes everything from solar and wind energy from remote northern and western China, to hydro power to oil and gas in offshore areas. Can China’s Asia Infrastructure Investment Bank (AIIB) lay the groundwork for a Global Energy Internet? The goals look aligned. As the efficiencies of cross-border electricity interconnections prove themselves, a growing number of big global energy network visions are being developed. Many of this parallel existing fiber optic routes. Sources: State Grid Corp of China, Siemens, Institute of Electrical and Electronics Engineers (IEEE), Grenatec, North Sea Offshore Grid Initiative, others. The AIIB is keen to invest in infrastructure. State Grid Corp. of China foresees a global energy grid by 2050. Combining the two could create a global pump-priming fiscal economic stimulus that solve a host of collective problems at once — ranging from reducing destructive climate change to spurring economic growth to funding the needs of an aging global population. A Global Energy Grid would be the mother of all economic stimulus projects. It would be built out in phases and completed by mid-century. The logical pathway looks remarkably obvious. The place to start would be Asia, the world’s fastest growing region, where much infrastructure is yet to be built out for the first time. Asia is also the world’s fastest growing regional economy and its largest single trading bloc. Deepening energy interconnections between its nations will spur economic efficiency and raise economic growth rates. It will reduce the region’s carbon emissions through providing pathways to market for low emission energy sources. The first regional projects should be in Southeast Asia, with the first individual projects being the Trans-ASEAN Gas Pipeline and Trans-ASEAN Electricity Grid. These will provide the core of a concentrically-expandable multilateral energy delivery infrastructure. This can later be expanded to China, Japan and South Korea and southward to Australia. These expanded routes could follow infrastructure pathways already proposed for, for instance, Indonesia’s Palapa Ring fiber optic infrastructure project, the Ichthys Timor Sea gas pipeline and the East China Sea power line projects proposed by Japan, South Korea and China. The first stage in this process can be traced back to 2008. In that year, China’s State Grid won a landmark 25-year contract to refurbish and operate the Philippine electricity grid. State Grid is now considering expanding the effort to connect the Philippines to other Southeast Asian nations using high capacity power lines. The next step should be construction of the Trans-ASEAN Gas Pipeline and Trans-ASEAN Electricity Grid. Both could be funded wholly or in part by the newly-opened Asian Infrastructure Investment Bank (AIIB). The AIIB is slated to make its first loan later this year. In addition to the AIIB, needed economic reform in Asia can provide the funding for construction of a Pan-Asian Energy Infrastructure that can later interconnect to a Global Energy Grid. These economic reforms can and should include carbon pricing, creating more liquid and fungible energy markets arbitrated by price, dispatch and carbon and eliminated subsidies for fossil fuels. These three reforms will eliminate trillions of dollars of economic inefficiencies so the resulting savings can be invested in better infrastructure and trade as well as provide the long-term returns necessary to pay for an aging global population. Low emission energy connected to an ubiquitous energy delivery infrastructure enabling proper competition among energy sources undistorted by fossil fuel subsidies, discriminatory access to transport infrastructure, unpriced carbon will create a long lasting economic boom. The result will be creation of a global energy infrastructure that will serve the world economy for a century or more. Creating two South China Sea Joint Development Areas (JDAs) — one off Vietnam, the other off the Philippines — will lower worsening political tensions between China and Southeast Asia. Two Joint Development Areas — one lying between North Vietnam and the Paracel Islands and the other off northern Philippine Palawan — could provide a template for other joint development projects between China and her southern neighbors in the South China Sea. One of the two JDAs could be located off between Chinese occupied Triton Island in the Paracels and the northern Vietnamese coastal city of Da Nang. The other JDA would be located in the Reed Bank area west of the Philippine Island of Palawan. Both would involve China National Offshore Oil Company (CNOOC) working with, respectively, Vietnam’s state-owned Petrovietnam in Vietnam and privately-held Philex Petroleum of the Philippines. The arrangement would be highly symbiotic. Vietnam and the Philippines would gain a deep-pocketed partner. China’s CNOOC — which desperately needs to boost its oil and gas reserves — would get a badly-needed ‘social license’ to operate in the South China Sea. CNOOC would provide capital and technology; Vietnam and the Philippines would provide political legitimacy. All three countries publicly support the concept of South China Sea joint development areas as an alternative to war. Infrastructure funding the two JDAs could be provided by the Asian Infrastructure Investment Bank (AIIB). Since all three countries are members, this would ensure multilateral input — building trust. Given the above the AIIB’s first loan — which it plans to make later this year — should go to funding the Trans-ASEAN Gas Pipeline (TAGP) and Trans-ASEAN Electricity Grid (TAEG) projects. The two JDAs above would be the AIIB’s second loan. The two sets of loans would be highly synergistic and immensely symbolic of China’s public commitment to peaceful, bilateral resolution of South China Sea territorial issues. The projects also would represent a major step toward the realization of China’s Maritime Silk Road and one One Belt, One Road projects concepts of a more integrated Asian energy and trade economy. The projects also would mark a major step toward building the first regional interconnections for State Grid Corp of China’s proposed Global Energy Grid. Given the above, establishing JDAs in the South China Sea connected by building multilaterally-useful infrastructure solves several pressing regional political problems at once. Perhaps most important, it saves face all around. It offers the opportunity for mutually-beneficial climb downs by all sides from increasingly aggressive displays of maritime nationalism in the South China Sea that could spark war through an accident at sea. It achieves this by enabling China to claim it’s dealing with territorial disputes in the South China Sea only bilaterally. At the same time, it enables smaller countries like Vietnam and the Philippines to claim precedents for cooperative behavior in the South China Sea. The unattractive alternative that looms in the background, of course, is war. JDAs will give CNOOC increased access to the South China Sea at lower political cost to China. This enable CNOOC to build reserves and avoid politically-destabilizing layoffs. It will also achieve one of the main aims of China’s creation of the AIIB: to channel China’s large US dollar reserves into infrastructure projects for CNOOC, State Grid and others..
Southeast Asia, meanwhile, would also share in the benefits. It would host shore-based infrastructure for the JDAs. It would also host regional clearing markets for South China Sea oil and gas, most likely in Singapore. This would help establish an ‘Asian’ price for hydrocarbons, increasing downstream market efficiency. It would also increase the long-term incentives for building Pan-Asian networks in gas, electricity and data. All of this, over time, will progressively bind the economies of China and Southeast Asia more closely together to everyone’s benefit. The JDA concept has been around for decades. Several exist throughout the world. Under a JDA, disputing claimants to an offshore area shelve their claims indefinitely while they work together to develop and share the resources within the area. Final territorial determination is postponed until the resources are exhausted and the political stakes are lower. Vietnam and the Philippines are ideally suited for agreeing to JDAs with China. China’s ill-defined and poorly-documented Nine-Dotted Line claim to virtually the entire South China Sea has left it politically isolated. Given the increasing risk of conflict at sea, JDAs offer a valuable, face-saving climb down. The importance of this should not be underestimated. Starting with North Vietnam and Reed Bank, precedents would be set for later JDAs off southern Vietnam between the Mekong Delta and Indonesia’s Natuna Island. Scarborough Shoal off Philippine Luzon, another hot button South China Sea location, could also be developed as a JDA. So could offshore areas southeast of Taiwan. Taken together, these would create ideal extension opportunities for a Pan-Asian Gas Pipeline connecting Indonesia to China up both sides of the South China Sea. Subsea fiber optics also traverse these routes, and State Grid and others have proposed laying high capacity subsea electricity power lines along the routes between now and 2050. It’s hard to overestimate the benefits of precedent that peaceful establishment of Joint Development Areas in the South China Sea between China and her neighbors can have over the long-term economic and political development of Asia. A pathway of progress stems from taking the first step. All sides should do so.